Going Public! 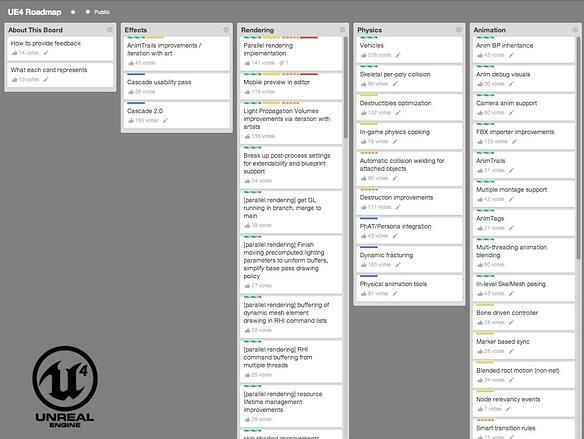 Roadmapping With A Public Trello Board. Why do this? 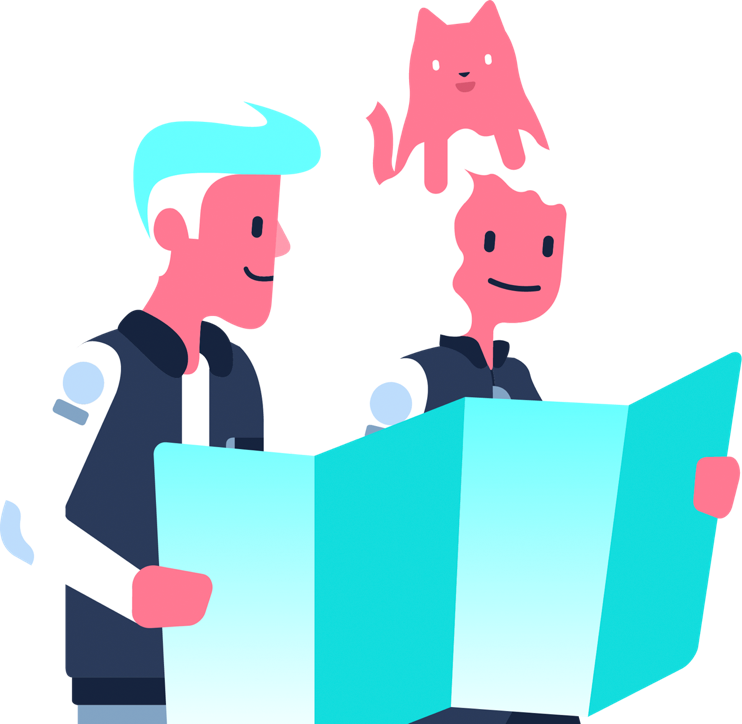 Because a public roadmapping board is a great place to engage with your community, get input from power users, share your product’s development, and keep people up to date on any issues or releases. 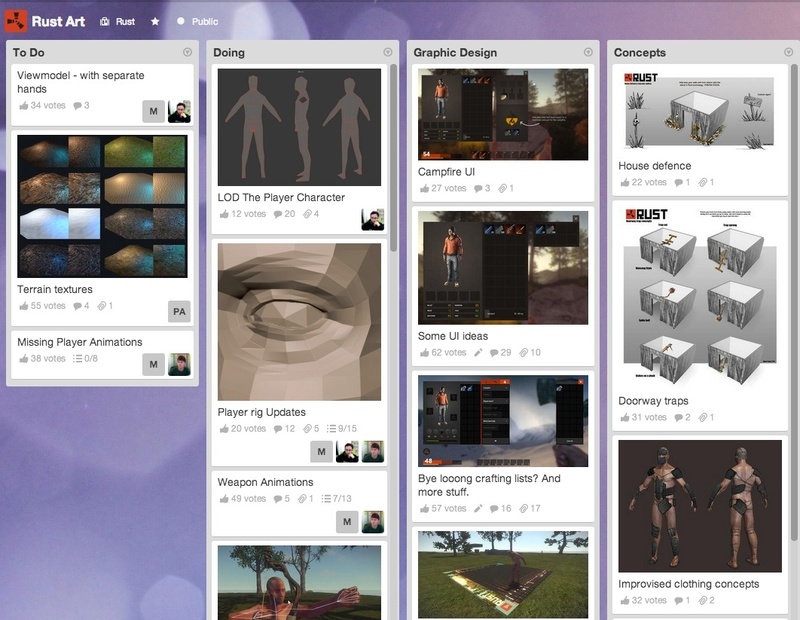 "The huge benefit for us with Trello is that it's accessible to the public, it's laid out in a simple way that the public can follow. This means that we can communicate directly with our community - they can see exactly what we're doing. 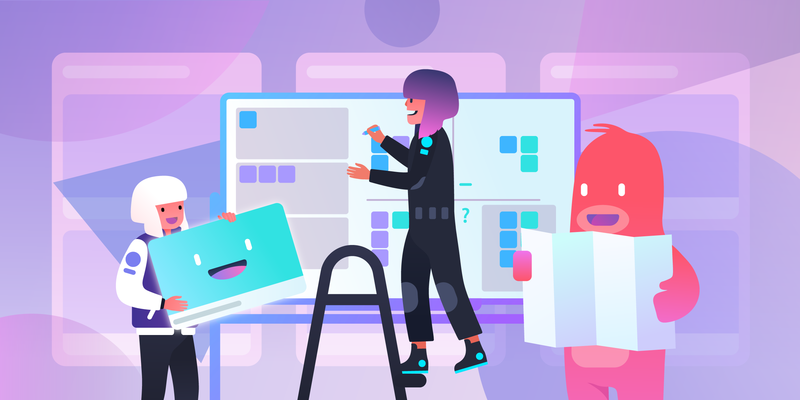 Each issue or feature is kind of like a mini blog… Using Trello for us ultimately means we don't have to spend half our time in two different systems, one for staff and one for the public. We can update one and everyone benefits." 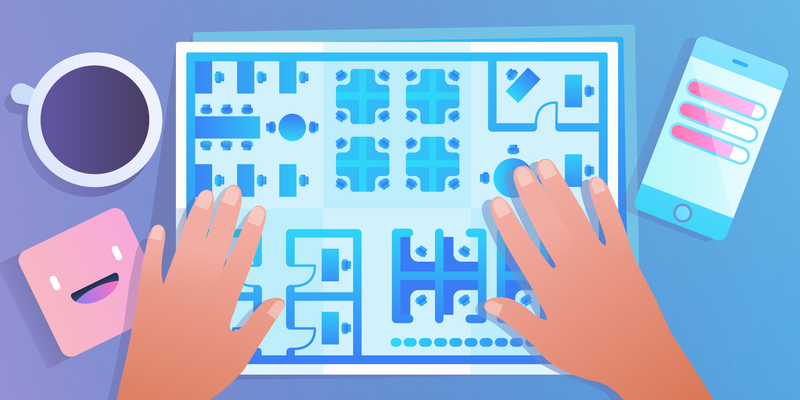 This got us thinking, perhaps there are more teams out there that could benefit from roadmapping their product publicly in Trello, so this article is meant to give a couple of tips to help you get started. I will talk about board visibility settings, commenting and voting permissions, board backgrounds, sharing card links via social media, and a few other fun things. 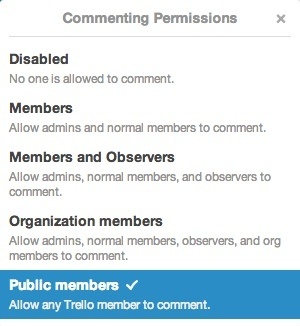 Before I get started, if you're worried that having a public board will reveal too much, remember that Trello allows you to have different permissions on different boards, so you can share publicly only the information you wish to share.  Like in the classic baseball film, Field of Dreams, “If you build it they will come…” Except in this case, if you make your roadmapping board publicly visible, they will come and they will give you input! 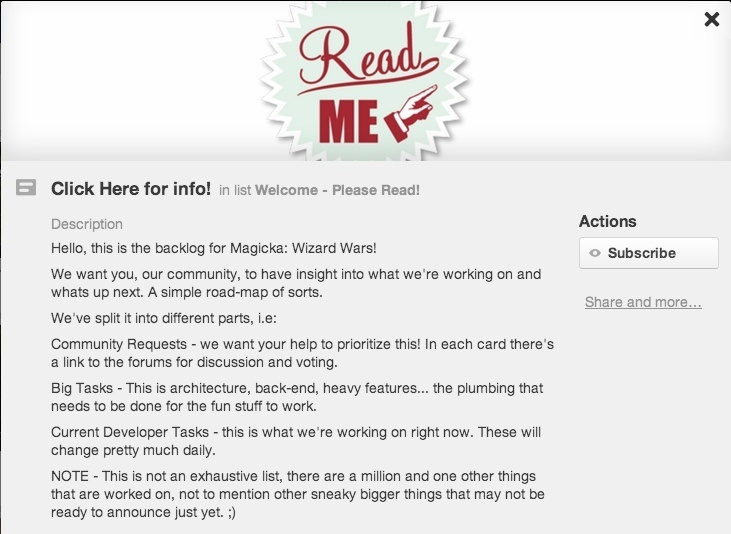 Your fans will also be able to subscribe to a card, perhaps a feature they are craving, and follow its progress across your board, receiving notifications as it glides across your lists, from "ideas" to "doing" to "shipped". When your board is public, it is visible to anyone with the URL and it will show up in search engines like Google. 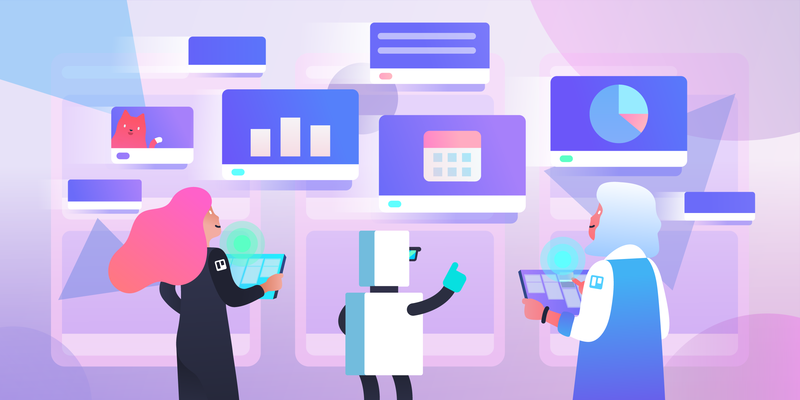 Set the visibility of your board so that it is publicly viewable by clicking “private” or “team visible” to the right of your board’s name and team in the header, and changing it to “public”. If the board is already set to public, then you are already one step ahead. 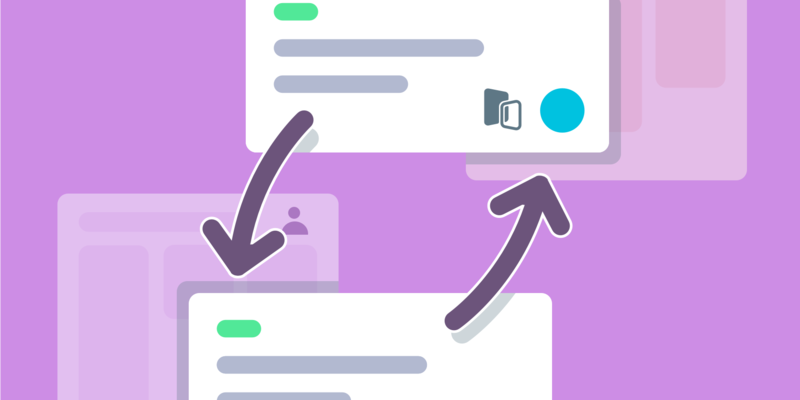 While you are at it, you may want to consider making your team public in Trello so that your fans can easily access all of your team’s public boards through one simple URL, and you will be able to bling out the page with a company logo and description. 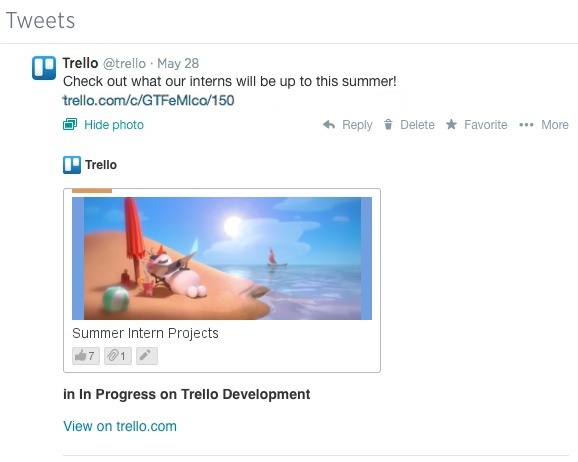 For example, Trello, Inc. is a public team: https://trello.com/trelloinc. Set your team public in the settings tab for your team. Also, make sure to link your public roadmapping board from your company’s website so you can easily steer traffic to it and get search engines to index it quicker. 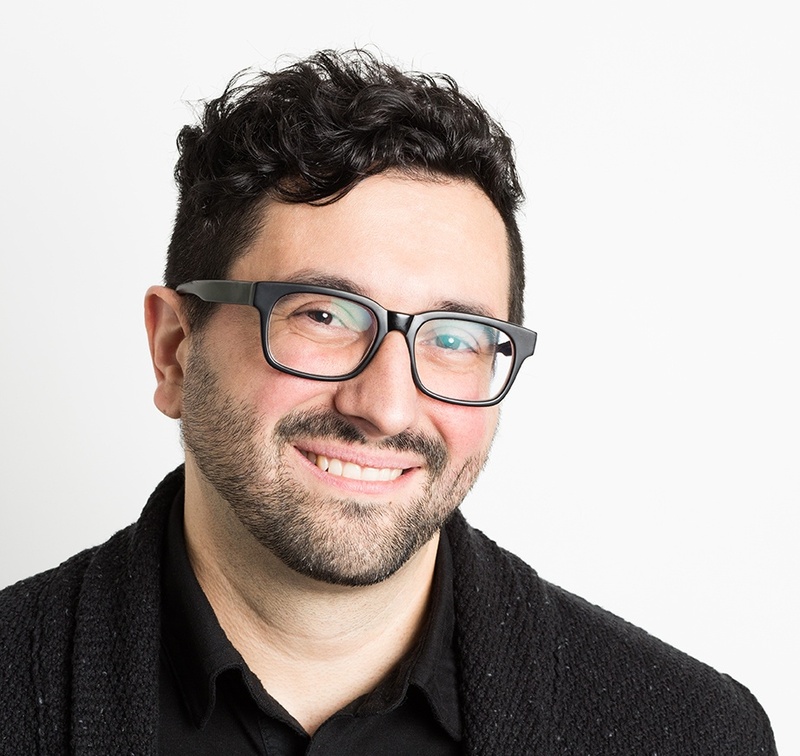 "The voting feature is especially useful to us, because it means we can put a bunch of stuff that we want to get done on the board, and then we can let the public vote up the issues that they want the most. This allows us to organize our flow according to what the community deem most important to them." 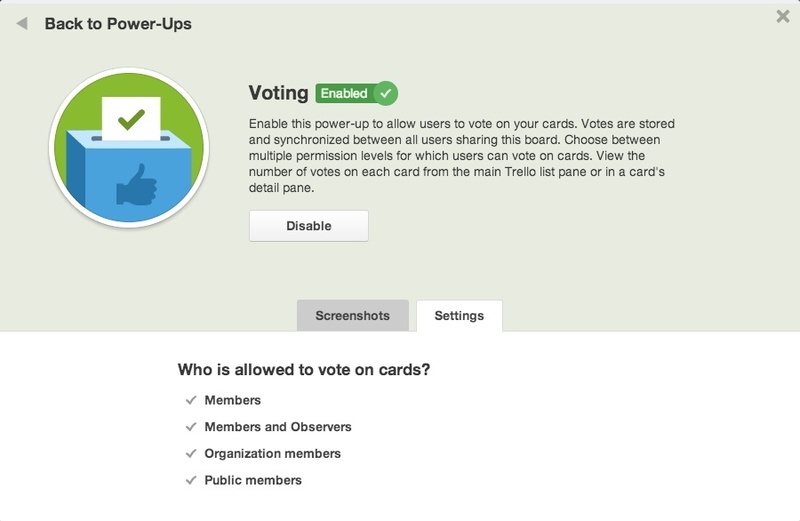 To enable the voting power-up for your board go the board's menu in the sidebar and select “Power-ups”. In the power-ups menu select voting, then select enable, and in the settings tab make sure to give voting permissions to public members. Turn on public commenting for your board in your board’s settings in the sidebar. Please note that your board must be public in order to be able to turn on this feature. Also, don’t be worried about the trolls of the world, board admins can easily delete any unwanted comments. If you have a Business Class or Trello Gold account, you can add a custom background to your roadmapping board, which is great for adding a bit of character and branding. One thing that you can do is upload your company’s logo as a background and tile it across the board, but an even cooler option is to place your logo or image on a background that integrates nicely with the list layout. 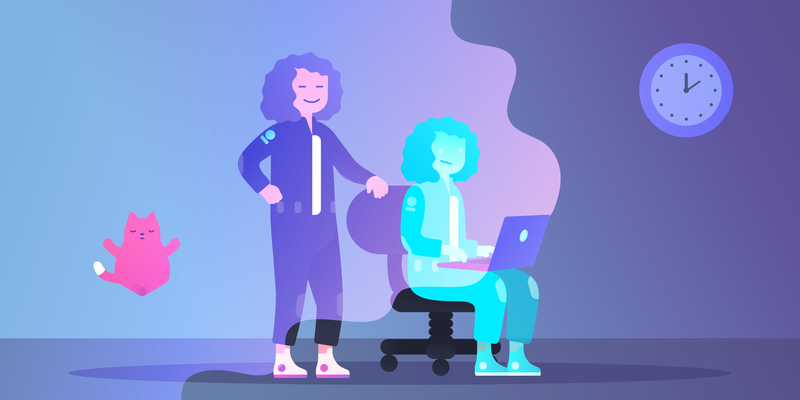 Pretend you have some killer new feature (or don’t pretend because you know you have some killer new feature always on tap) and you want to get some input from the people that love your product the most. 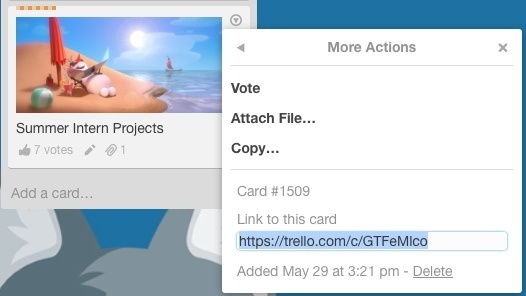 Once you have added your new feature idea as a card on your roadmapping board, you can easily share the card on Twitter and other social media by linking directly to the card. Cards will embed in your post showing an image of the card, très cool! 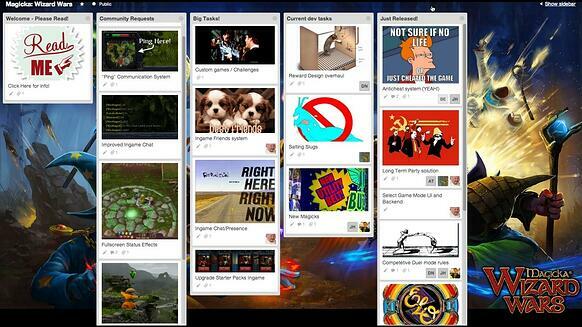 And, if you have Business Class or Trello Gold you can upload custom stickers to add to your board. Maybe a sword for all the bugs that have been slain or fun game icons and characters. The options are endless! 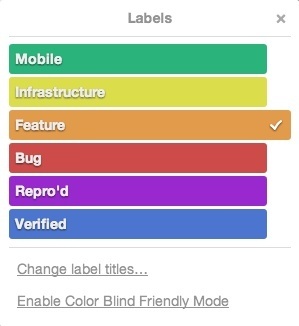 Finally, labels are your friend. Try using labels on your roadmapping board to provide additional information about your cards, and to allow easy filtering of the cards on your board. For example, we label all the “feature” cards on the Trello Development board with the orange label. 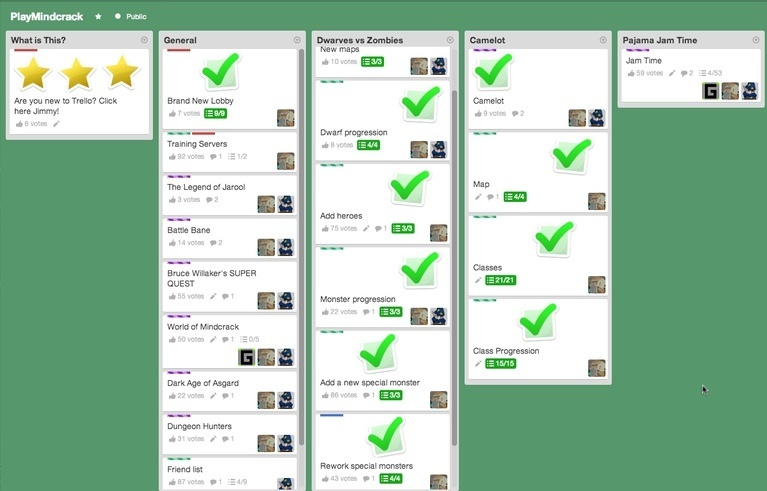 This makes it easy for anyone who is following our board to filter for all of the orange labeled cards to get a better view of the progress of various features, without all of the noise from other cards. 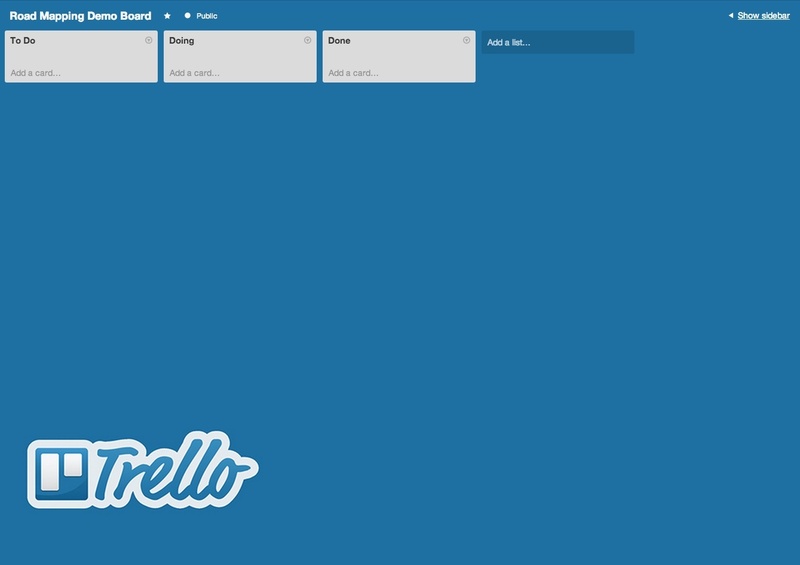 Well, those are the basics for setting up a public roadmapping board using Trello. Get out there! Get creative! Go public!